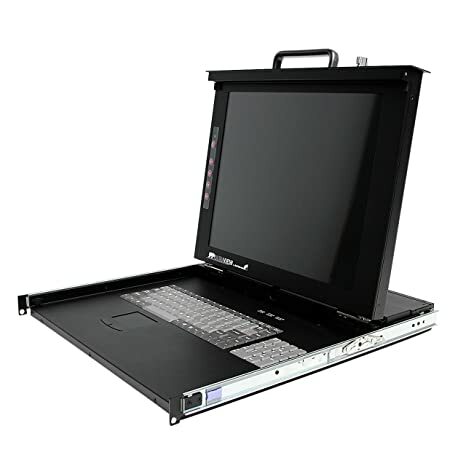 This 1U Folding Rackmount LCD Console offers a high quality KVM solution, featuring a 17in LCD display, full-size (106 key) keyboard and mouse touchpad, as well as an 8-port KVM module. A cost-effective KVM control solution, the integrated module can be cascaded with up to 8 more 8-port KVM switches, for control of up to 64 computers from this single module. The module supports both USB and PS/2 controlled computers, and offers multi-platform KVM control, supporting PC, Mac and Sun servers and systems to ensure broad compatibility. The LCD Rack Console is able to work with virtually any existing KVM switch and any standard rack or cabinet that is 30in or greater in depth. Duplicate two target Flash Drives simultaneously, without connecting to a computerView larger 1:2 Standalone USB 2.0 Flash Drive Duplicator and Eraser – Flash Drive Copier The USBDUP12 Standalone Flash Drive Duplicator/Eraser offers a quick and easy solution for cloning a USB flash drive to one or two target USB flash drives or erasing up to two thumb drives simultaneously without having to connect the drives to a computer system. The WIRC5ECMRGRY Cat5e 350MHz Solid UTP Cable (Gray) is CMR rated for use in walls, conduit, ceilings, etc. and is packaged as a 1000-foot bulk roll. 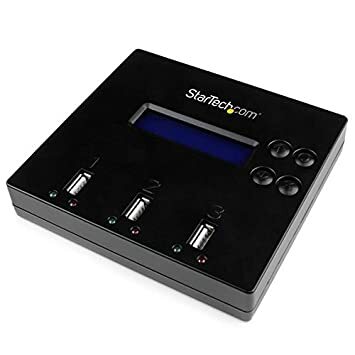 The cable features a gray PVC jacket, which provides both flexibility and durability, while making it easier to color code network cable connections.Backed by StarTech.com”s Lifetime Warranty. This Cat5e 350MHz Solid UTP Cable is CMR rated for use in walls, conduit, ceilings, etc. and is packaged as a 1000ft bulk roll. The cable features a blue PVC jacket, which provides both flexibility and durability, while making it easier to color code network cable connections. Backed by StarTech.com’s Lifetime Warranty. The NETRS2321POE 1 Port RS232 Serial Ethernet Device Server – PoE (Power Over Ethernet) allows you to install your RS232 devices anywhere on your TCP/IP Ethernet WAN/LAN, and access them as if they were right beside you – even over the Internet! The Serial Device Server is designed to function seamlessly with your other integrated and add-on serial ports as if they were right inside your computer. Perfect for industrial automation, security, Point of Sale, or any long-range serial application, delivering reliable performance in any environment. 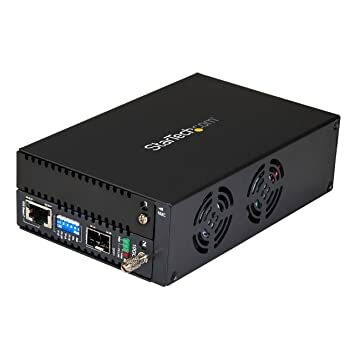 The Ethernet/serial device server supports PoE (Power over Ethernet) when connected to a PoE compliant device – eliminating the need for an external power supply and outlet, and making it easier to situate the device server as needed. Backed by a StarTech.com 2-year warranty and free lifetime technical support. Store IT equipment discreetly in the office, with a sound-insulated and stylish server cabinet – The RKQMCAB12 12U Quiet Office Server Cabinet lets you store your server, network or AV equipment discreetly in the office, with a stylish, sound-insulated server cabinet.This TAA compliant product adheres to the requirements of the US Federal Trade Agreements Act (TAA), allowing government GSA Schedule purchases. 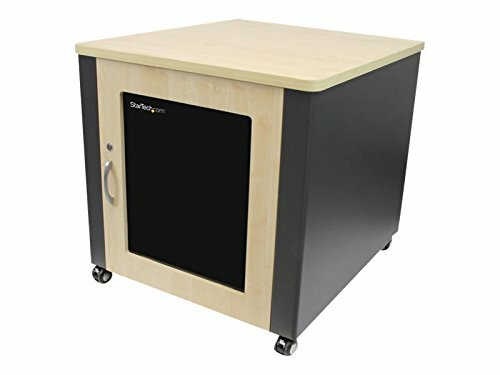 Designed to keep your workspace or boardroom quiet, this server cabinet features top, bottom, and rear foam-insulation for maximum noise reduction. Minimizing operating equipment noise ensures less distraction for you and your colleagues, so you can deploy vital IT hardware even in sound-sensitive environments. To ensure peak performance from your valuable equipment, the server cabinet offers maximum airflow and a cooler operating environment with an integrated 3-fan (3.5in) module (120 CFM). Plus, this quiet cabinet blends in with your office or boardroom furniture with a stylish wood laminate desktop and a shaded glass front window that keeps your equipment visible for monitoring, as well as front and rear key-locks to prevent unauthorized access. 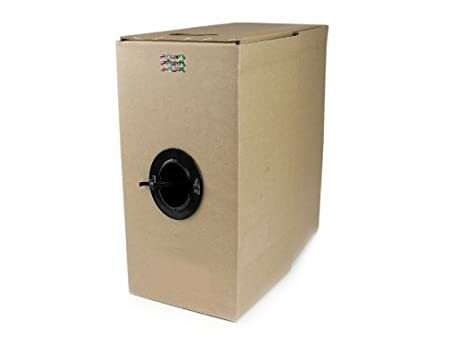 Providing versatile installation options, this 4-post enclosed cabinet offers adjustable mounting depths from 17.60in (447mm) to 21.54in (547mm) to accommodate various sizes of equipment, and supports a weight capacity of up to 600lbs (272kg). The cabinet comes fully assembled, and also features durable casters, so that positioning your server equipment as needed isn’t a hassle. Backed by a StarTech.com 2-year warranty and free lifetime technical support. 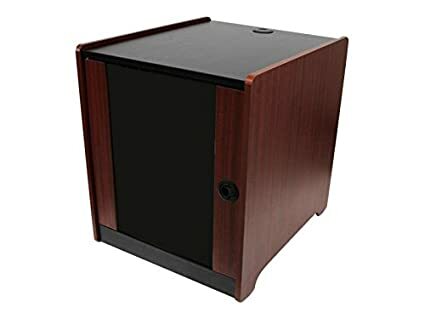 Store IT equipment discreetly in the office, with a stylish wood-finished server cabinet – The RKWOODCAB12 12U Office Server Cabinet lets you store your server, network or AV equipment discreetly in the office, with a stylish wood finish. This TAA compliant product adheres to the requirements of the US Federal Trade Agreements Act (TAA), allowing government GSA Schedule purchases. Designed to blend in with your office or boardroom furniture, this 12U server cabinet features wood laminate exterior panels with a shaded glass front window that keeps your equipment visible for monitoring, as well as front and rear key-locks to prevent unauthorized access. To help keep your valuable equipment running cooler, we’ve included a ventilation panel to maximize airflow. 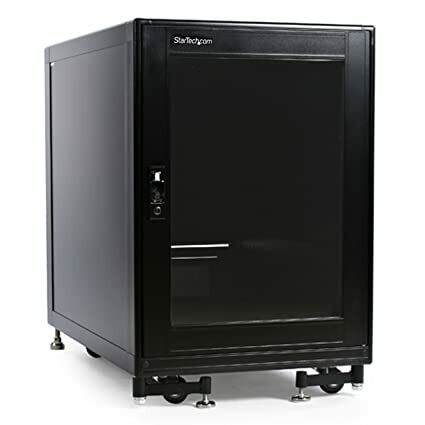 The cabinet also features durable casters, so that positioning your server equipment as needed isn’t a hassle. The 4-post enclosed rack supports a weight capacity of up to 300lbs (136kg) and offers rails with adjustable mounting depth from 16.7in (423mm) to 20.6in (523mm) to accommodate various sizes of equipment. Making it easy to route your cables where you need them, the 12U cabinet offers cable grommets on the rear and top panels, and a cable entry panel at the base. Backed by a StarTech.com 2-year warranty and free lifetime technical support. Here’s a versatile and cost-effective USB 2.0 extender. It gives you the freedom you need to place your USB device further away, making it perfect for the homes, offices, classrooms, and many other environments. Now, you can easily access and use your USB 2.0 device in a remote location, up to 165 ft. (50 m) away, using Cat5 or Cat6 cable. Eliminate hassle and smash distance limitations This USB extender overcomes the 16 ft. cable length limitations of traditional USB 2.0 cables, so you can create a more efficient, more flexible workspace. It’s an inexpensive USB-to-Ethernet solution that’s ideal for virtually any USB 2.0 device. You can connect a webcam at the back of a classroom, or a printer in another room at the office, all up to 50 m away from your host computer. 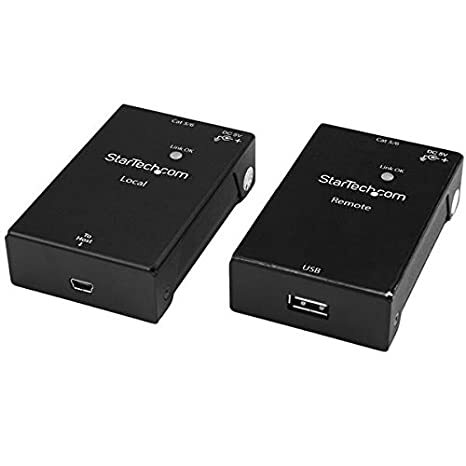 Plus, with a power adapter included for the remote unit, you can connect power-hungry USB devices such as external hard drives. Rugged durability and peace of mind Unlike other USB extenders that feature a plastic housing, this extender offers a metal casing that offers rugged durability. Whether the extender is installed in a permanent location, or will be moved from place to place, it gives you the peace of mind that your USB peripheral remains connected and accessible, right where you need it. Supports any operating system as well as older devices The USB 2.0-over-Cat5-or-Cat6 extender is OS independent, so it supports a variety of operating systems. Setup is easy with no additional drivers or software required, and the extender is backward compatible with USB 1.1 and 1.0 peripherals. Backed by a StarTech.com 2-year warranty and free lifetime technical support. Make reliable Ethernet connections in applications requiring CMR-rated cable – The WIR5ECMRBK 1000 ft. Cat5e Riser Bulk Cable meets or exceeds all Cat 5e specifications to ensure reliable Ethernet network connections, and features a durable black PVC jacket that enables you to color code your network cable drops as needed for a more organized installation. 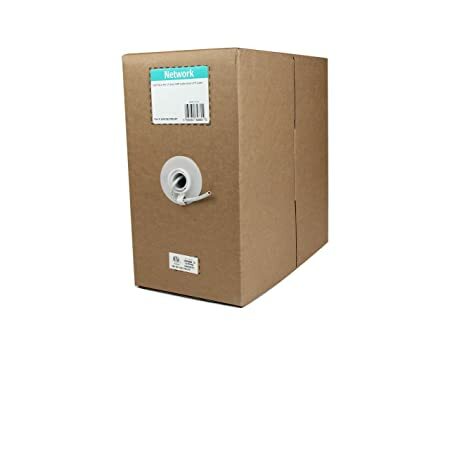 Bulk packaging is perfect for custom length runs and allows you to cover the exact distance required for your installations. Constructed of only top quality materials, the WIR5ECMRBK delivers reliable performance and is backed by our Lifetime Warranty. 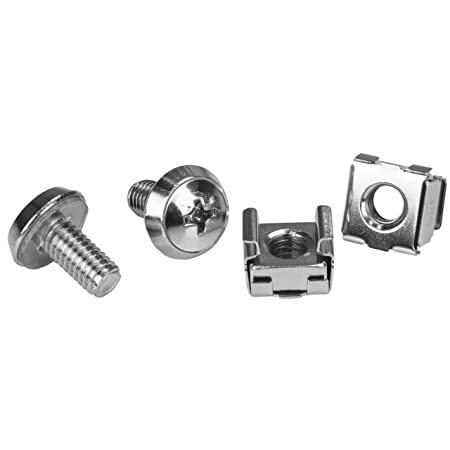 Riser Rated This Category 5e cable has been tested for CMR riser installations, and is ideal for in-wall, between floor and elevator shaft cable runs where CMR fire rating is required. 100 Copper – a better value StarTech.com Cat5e cables are manufactured using high-quality copper conductors. While many cable manufacturers offer a “cheaper” cable, based on a copper-coated aluminum core, we make no compromises on quality to ensure you receive top value and performance for your network cable investment. 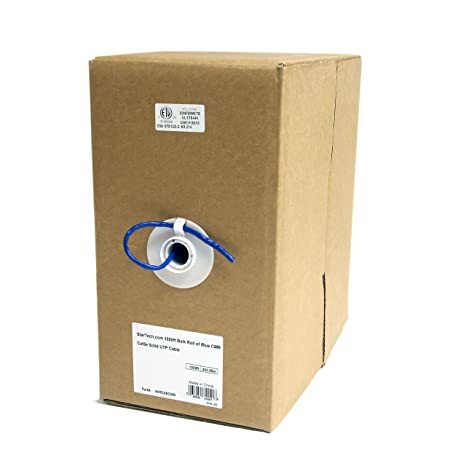 24 AWG Wire This Cat 5e cable is constructed with 24 gauge copper wire, to support a broad range of Ethernet applications such as Power over Ethernet (PoE). Because we use a high quality copper wire, our cables easily sustain the power required for Power over Ethernet applications, whereas the inferior quality offered by copper-coated aluminum cables may be subject to insufficient power delivery, heat buildup, equipment damage and potentially, fire. Convert and extend a copper (10GBase-T) connection over fiber (10GBase-R), using the 10 Gigabit Ethernet SFP+ transceiver of your choice – This 10GbE fiber media converter lets you scale your network using the 10Gb SFP+ transceiver that best suits your network type and distance requirements. Its a cost-effective way to convert copper to fiber, or fiber to copper, and it integrates easily into a range of 10Gb network infrastructures. 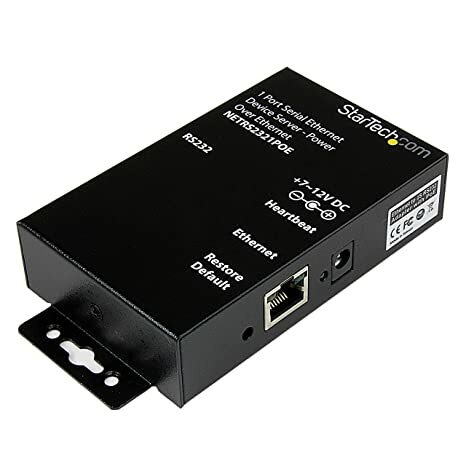 The 10G fiber converter delivers fast and reliable network access at longer distances than copper-based networks, making it ideal for server rooms or workstations in remote areas or in other buildings. Expand your high-speed network over longer distances This high-performance fiber media converter integrates nicely into a variety of 10 Gigabit networks. And, because the card supports up to 10Gbps throughput, you can quickly bridge your traditional 10Gb copper (RJ45) based network across long distances using fiber-optic cable. Now you can transfer large files and access high-bandwidth multimedia content in less time, even in remote locations. Use the SFP+ transceiver thats best for you With an open SFP+ slot, the 10GbE media converter adapts to your network connection and distance requirements. Plus, because its compatible with most , it offers more possibilities for connecting devices and users to your network. With support for a wide range of transceivers, the network converter is ideal for dynamic, high-performance data centers. Simple network management and diagnostics The 10 Gigabit fiber media converter offers built-in management functionality, so you can quickly, yet effectively manage and customize your network settings through the local serial console port. Prepare your network for the future If your existing network consists of RJ45 copper-based devices and cables, you might not be ready for future network expansion. Because the newest fiber-based network switches feature SFP+ ports more often than RJ45 ports, you might need a converter to bridge your copper and fiber networks together. This versatile fiber media converter is the perfect way to add users and devices to your network, now or in the future, while simultaneously interfacing your copper and fiber network mediums. The ET10GSFP is backed by a StarTech 2-year warranty and free lifetime technical support.